All seekers of spirituality from around the world are welcome to come and meditate here,in the purity and sanctity of the atmosphere at Kanha Shanti Vanam. Kanha Shanti Vanam is located in the suburbs of Hyderabad close to the Bangalore highway. Magnificent in its conception and design, tranquil in its atmosphere, Kanha blends the beauty of nature with sprawling facilities being built to cater to the future of the Heartfulness movement. The second international youth seminar at Kanha Shanti Vanam unofficially began on the evening of the 12 August, following the evening group meditation. Projects that are completed include CC Roads, Foot paths, Site office, Toilet blocks, Plantation, Water Tanks, Compound walls and many more.. Meditation hall, Media center, Visitor center, Trustee’s office, Amphitheatre are under design construction will commence soon. Dormitories, Mega Kitchen, Monument building, Dining Hall and Mechanical Electrical Plumbing (MEP) park are under construction. It is with profound joy that we announce the celebrations for the 120th Birth Anniversary of Pujya Shri Babuji Maharaj at Kanha Shanti Vanam, Hyderabad. The celebrations will commence with the morning group meditation on 29 April and conclude with the morning group meditation on 1 May. Registration is mandatory for all visitors including children. Please provide all necessary details in this form, so that teams can organize well. Elders above the age of 70, and children below the age of 5, are advised not to visit Kanha at this time, as the weather is generally very hot, and conditions are difficult. Revered Daaji is conducting a GITP workshop (in hindi) from May 2 - May 4 evening, following the celebrations. Please plan to attend the workshop and make your travel bookings accordingly. One can register for this workshop in this form itself. General Dormitories and Tents: Four three-storey dormitory buildings are available at the North block, in addition to the tents. Accommodation for elderly people will be on the ground floor of the dormitories, and a limited number of beds will be available, issued on a first-come-first-served basis. Comfort Dormitories: There are four two-storey buildings with bunk beds in all the rooms. A/C and Non A/C options are available. Online Booking from this page is mandatory for the Comfort Dorms. There are no mandatory registration fees for attending the celebration, however events of this magnitude incur a cost of around Rs 1000/- per participant. Please donate as much as possible, as per your convenience. Online donations can be made by clicking on the Donate Online button after registering. You can also donate at your local centres and at the venue. For your convenience, transport will be arranged from Secunderabad, Kacheguda, Shadnagar, and Vikarabad railway stations and the airport. Please fill the transportation section in the registration form and update the information based on any changes in your plans. This will help us plan the number of buses and cabs required at various times. The weather at the venue during this time of the year is likely to be extremely hot. That is why elders, above the age of 70, and children below the age of 5 are requested not to attend. This request is meant with the very best of intentions. Kanha is equipped with only the most basic medical facilities, so those with poor health, mental or psychiatric conditions are also asked not to attend. It is mandatory for all overseas visitors who have an Indian Visa to fill out an FRRO Form, a requirement from the Indian Government. OCI & PIO cardholders need not fill out this form. The link for the Online FRRO Form will be available on the Registrations Confirmation page. This is a great opportunity to render service by volunteering. There are more than 50 different volunteering activities during the celebration, so please select one most suited to you on this registration form. It will help each department to contact you and coordinate better. It is often difficult to get enough volunteers for duties like sanitation, housekeeping, parking and security. We therefore invite centres to take up these areas. Please let us know in advance the number of volunteers expected from each centre, by sending an email to kanha.events@srcm.org. We also request each zone to send 5 to 10 volunteers one week before the celebration. This group will coordinate and plan activities with their respective zones. Everyone is developing correct thinking, right understanding and an honest approach to life. They are attaining rightness in action and perfection in character. Everything surrounding us, the air particles, people, the birds, the trees … everything around us is deeply absorbed in Godly remembrance. All are in osmosis with the Source developing increased peacefulness and moderation. As construction activities are continuing in Kanha and accommodation is limited, regretfully we will be able to accommodate only 25,000 participants for the celebration. Those travelling by flight or train are requested to register after their tickets have been bought. Those travelling by private vehicle are requested to register only if they are sure to attend. Kindly note, last minute cancellations may deprive others of an opportunity to attend. Looking forward to see you at the Celebrations! This training is part of the ongoing series of trainings for existing preceptors (heartfulness trainers) who have been permitted before 1.1.2015. 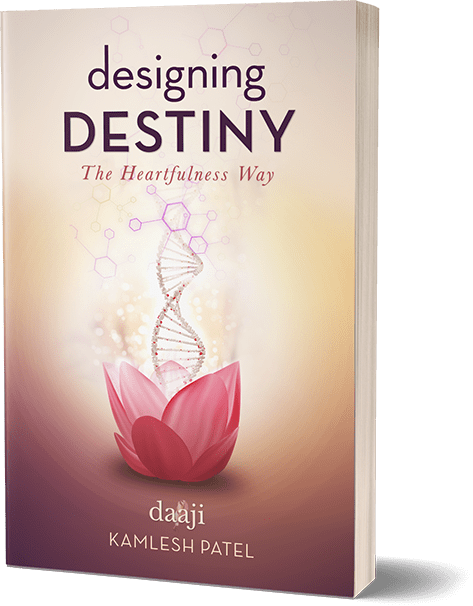 Right from the inception, Kanha is envisioned as an integrated township for all those who are established in the Heartfulness meditation. Kanha will have Spiritual service as it’s primary focus with over a 250 acre ashram campus with various facilities for meditation, stay etc described under the ashram section.